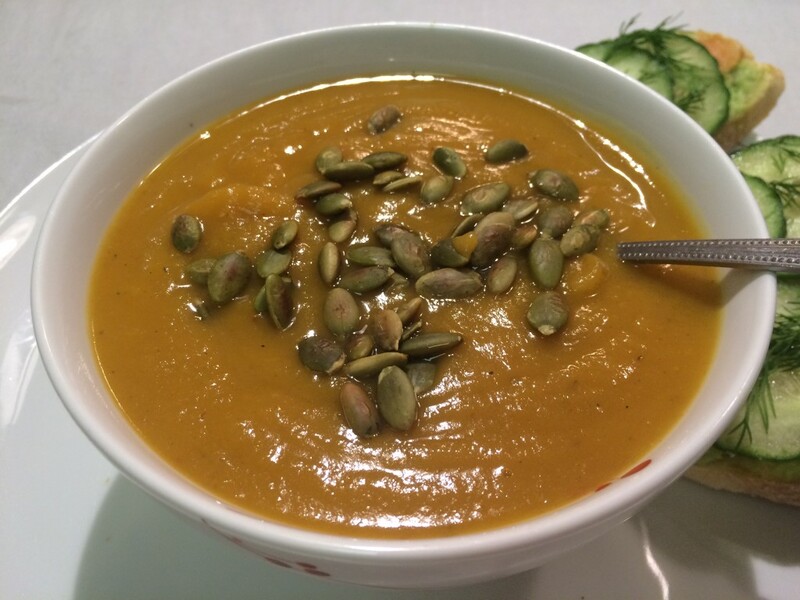 Many years ago I had a friend who had her own restaurant and made the best butternut squash soup I ever had. I always wanted to learn how to make it. 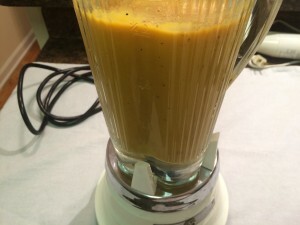 Finally I have come across a good recipe that makes the soup taste just like it comes from a gourmet restaurant. 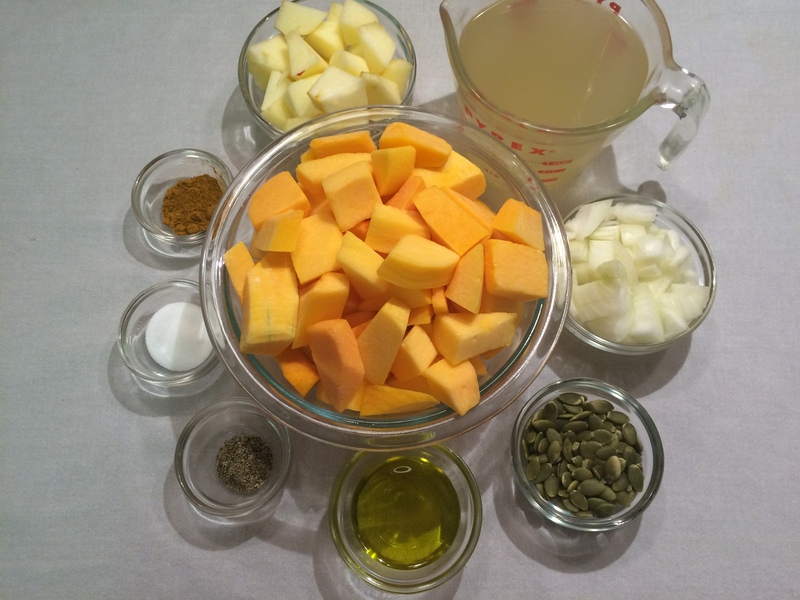 Cut the butternut squash, onions, and apple into 1-inch cubes. 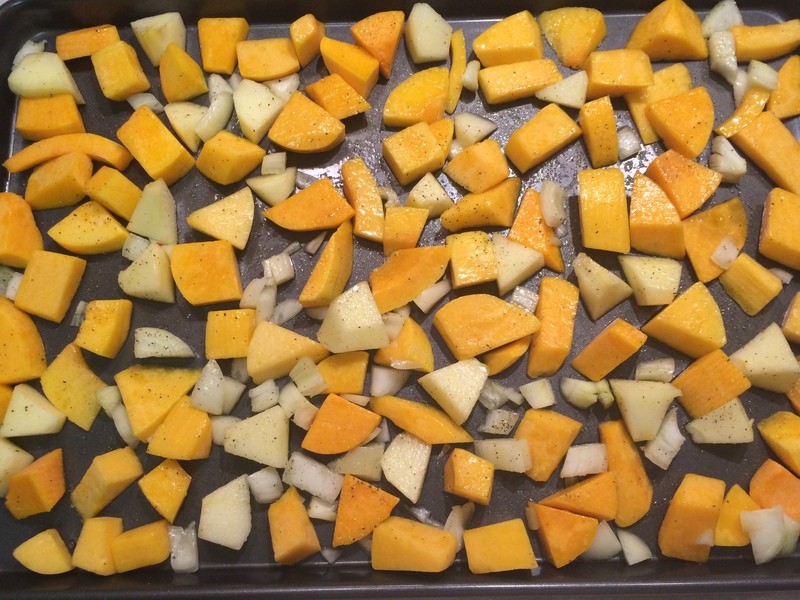 Place them on a sheet pan and toss them with the olive oil, 1/2 teaspoon salt, and 1/4 teaspoon pepper. Roast for 35 minutes, tossing occasionally, until very tender. Meanwhile, heat the chicken stock to a simmer. 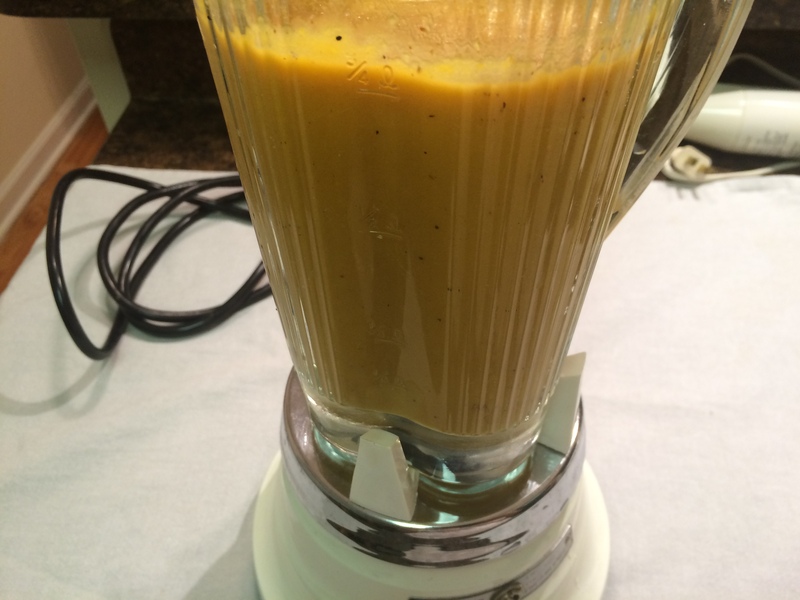 When the vegetables are done, add the chicken stock and put into blender or food processor and coarsely puree. When all of the vegetables are processed, place them in a large pot and add enough chicken stock to make a thick soup. Add the curry powder, 1/2 teaspoon salt, and ¼ teaspoon pepper. Taste for seasonings to be sure there’s enough salt and pepper to bring out the curry flavor. 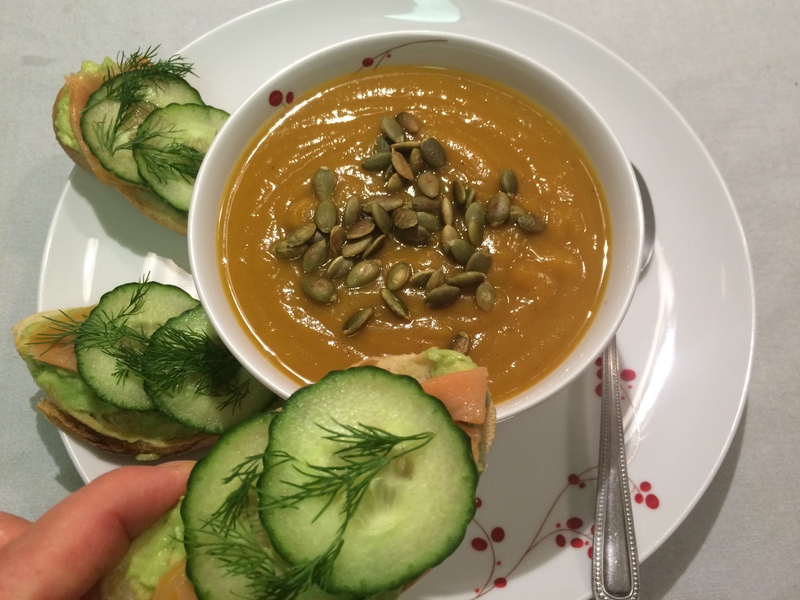 Reheat and serve sprinkled with toasted pumpkin seeds and a side of toasted baguette with salmon, avocado, cucumber and dill. From now on, I can’t cook this kind of curry soup too oftenly, my hubsand just recover from stomach upset. The only thing I can do is quietly go out and eat at the hawker alone, hahaha. Or maybe you would like to join me?